The 89th annual Academy Awards a�� the Oscars 2017, takes place this Sunday, 26th February at the Dolby Theatre at the Hollywood and Highland Center in Los Angeles. To celebrate, Cactus Language has chosen its top 10 foreign films to help you improve your language skills whilst enjoying some of the best films to have graced the big screen. To really test your listening skills try watching these films without the subtitles. a�?Amores perrosa�? is a 2000 Mexican drama thriller film directed by Alejandro GonzA?lez IA�A?rritu and written by Guillermo Arriaga. As the first installment in GonzA?lez IA�A?rritu’s “Trilogy of Death”, which also includes 21 Grams and Babel, the film connect three stories, each involving loss, regret, and disappointment, all in the name of love. The film evokes the whole spectrum of emotions and brings you closer to some of the realities of Mexican life. Alejandro GonzA?lez IA�A?rritu, a Mexican director, is also known for directing a�?Birdmana�? and a�?The Revenanta�?. 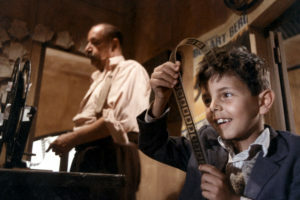 Winning the Oscar for Best Foreign Film in 2000 “Cinema Paradiso” directed by Giuseppe Tornatore is a semi-biographical film about a director looking back on his life. Returning to his Sicilian village for the first time after 30 years in Rome, he remembers his childhood at the Cinema Paradiso where Alfredo, the projectionist, first brought about his love of films. He is also reminded of his first love, Elena, who disappeared from his life before he left for Rome. “Battle Royale” is a 2000 Japanese dystopian action drama film adapted from the 1999 novel of the same name by Koushun Takami. It was directed by Kinji Fukasaku and is set in a dystopian Japan. It follows the story of Shuya Nanahara, a high-school student whose class has been chosen by the government to take part in an annual game where all the students must fight to the death until only one remains alive (this will sound familiar if you have seen The Hunger Games). The film caused both domestic and international controversy and was banned outright in several countries. “City of God” is a 2002 Brazilian film, set in the notorious a�?favelasa�� of Rio de Janeiro, directed by Fernando Meirelles and released worldwide in 2003. A story of hope in the face of adversity, in the midst of the oppressive organised crime and violence, a young boy grows up to discover that he can view the harsh realities of his environment with an artistic eye. In the face of impossible odds, his ambition to become a professional photographer allows us to see his world through his eyes and ultimately gives him a way out. “Downfall” was released in 2004 and is a German-Italian-Austrian historical war drama film depicting the final ten days of Adolf Hitler’s rule over Nazi Germany in 1945. Directed by Oliver Hirschbiegel the film received critical acclaim and was nominated for the Academy Award for Best Foreign Language Film. The film gives a detailed, terrifying portrayal of a man obsessed and consumed with power, which may resonate with many today. 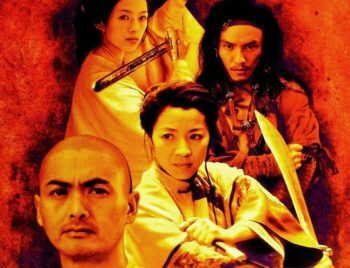 Released in 2000, “Crouching Tiger, Hidden Dragon” was directed by Ang Lee and featured a cast of Chinese actors, based on the fourth novel in the wuxia book series by Wang Dulu. A kung-fu film full of martial arts sequences and beautiful story telling, the film won over 40 awards in total. It also won the Academy Award for Best Foreign Language Film and three other Academy Awards. Written and directed by Pedro AlmodA?var in 1999 “Todo sobre mi madre” deals with a range of complex issues including AIDS, sexuality, gender, faith and existentialism. The film depicts young Esteban, who wants to become a writer and also wants to discover the identity of his father, carefully concealed by his mother Manuela. The film won an Oscar for Best Foreign Film in 2000 and secured Almodovara��s place as a legendary director and writer. “The Hunt” is a 2012 Danish drama film directed by Thomas Vinterberg and starring Mads Mikkelsen and was nominate for the Best Foreign Language Film at the Academy Awards in 2014. The story is set in a small Danish village around Christmas, and follows a man who becomes the target of mass hysteria after being falsely accused of molesting a young girl in his kindergarten class. The town turns against him and his life starts to disintegrate. Wadjda is a 2012 Saudi Arabian film, written and directed by Haifaa al-Mansour. It was the first feature film shot entirely in Saudi Arabia and the first feature-length film made by a female Saudi director. Wadjda is a rebellious but determined 10-year-old girl who is set on buying a bicycle to race against Adbudllah, a neighbourhood boy she shouldna��t play with. In a society which does not permit girls to ride bikes Wadjda challenges deep-rooted Saudi traditions on many levels. Wadjda finds one last chance to get the money she needs by entering her school’s Koran recitation competition, which offers a large cash prize for first place. “Wadjda” is the story of a girl determined to fight for her dreams. The film was selected as the Saudi Arabian entry for the Best Foreign Language Film at the Academy Awards in 2014 which was the first time that Saudi Arabia had made a submission for the Oscars. It was not nominated at the Academy Awards but it was nominated for Best Foreign Film at the BAFTAs 2014. AmA�lie is a 2001 romantic comedy film directed by Jean-Pierre Jeunet. Set in Montmartre, Paris, the film tells the story of a shy waitress who wants to change the lives of those around her for the better, whilst struggling with her own sense of isolation. 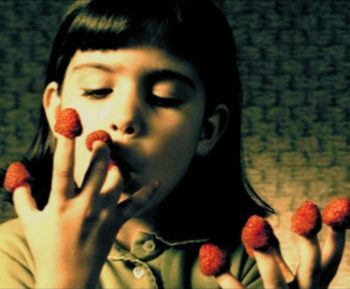 Amelie was nominated for five Oscars and various other awards, receiving critical acclaim across the world. Next Next post: The Sunday Times Travel Magazine Gives Cactus 5/5!